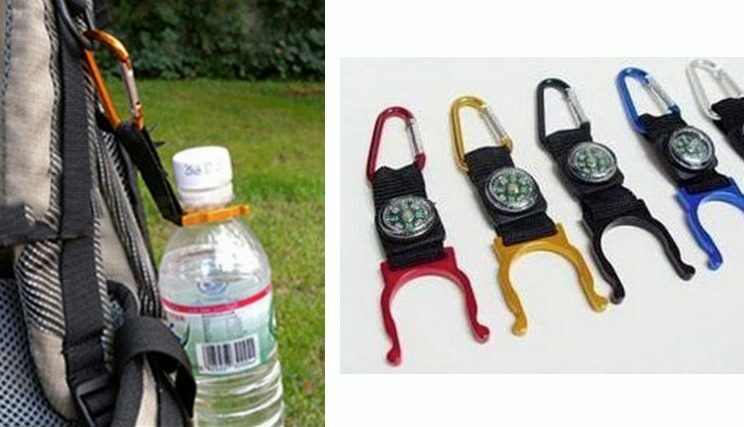 Carabiner Water Bottle Holder with Compass Just $0.89 Shipped! You are here: Home / Great Deals / Amazon Deals / Carabiner Water Bottle Holder with Compass Just $0.89 Shipped! Here’s a great deal for all the outdoor activities this summer! Get this Carabiner Water Bottle Holder with Compass for just $0.89 shipped on Amazon! Attaches a mini compass for convenience. Suitable for hiking, camping, climbing and outdoor activities. size: 5.7 * 3 * 0.5cm.